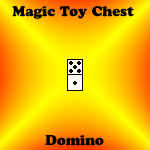 This is a quick video showing off the physics / gameplay engine for the Magic Toy Chest. 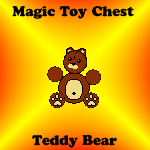 The basic premise is to get certain toys into the toy chest using the toys in your toolbar. It makes more sense if you just watch it. Hello there! 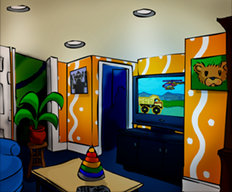 You have stumbled upon the information site, devlog, and overall home of all things Magic Toy Chest related. 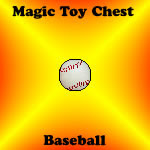 What is the Magic Toy chest? Well, it's a physics puzzle game made by Graduate Games. 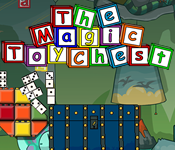 In the game, you are tasked with putting a specific type of toy into the magic toy chest. How do you do this? Well, you pretty much play around with physics and have a good ole time knocking over blocks, launching rockets, rolling balls, etc. to clean up and put your toys away. It's a kid friendly casual game perfect for the whole family. The controls are all very simple and the game is easy to pick up and play. 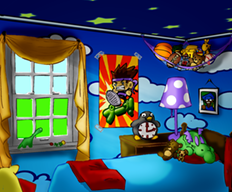 The game is currently under development and approaching release. Stay tuned here to learn more about all the toys, features, etc. 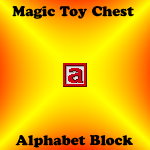 of the Magic Toy Chest. This is only the beginning.